The Arab Academy For Science, Technology And Maritime Transport (AASTMT) Won The World Impact Award During The ACM International Collegiate Programming Contest (ICPC) That Is The Premiere Global Programming Competition Conducted By And For The World’s Universities Link. ICPC 2018 Was Held During 15 – 20 April 2018, At Beijing University – China, As The Award Was Received By H.E Dr. Yousry AlGamal – Former Egyptian Minister Of Education – AASTMT President Consultant, Dr. Osama Ismail – Dean Of AASTMT Regional Informatics Center And Eng. 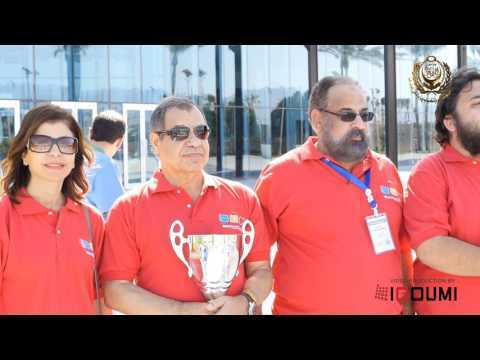 Mohammed Fouad – Regional Director Of The International Collegiate Programming Contest (ICPC) For University Students. The Arab Collegiate Programming Contest (ACPC) is a qualifying round for the ACM International Collegiate Programming Contest (ICPC). ACPC is organized in the same spirit and is governed by all applicable rules of the ICPC. Winners of an ACPC contest qualify to the ICPC World Finals. An ACPC Regional Contest is normally held during November/December of each year, whereas the ICPC World Final is held in March/April of the following year.